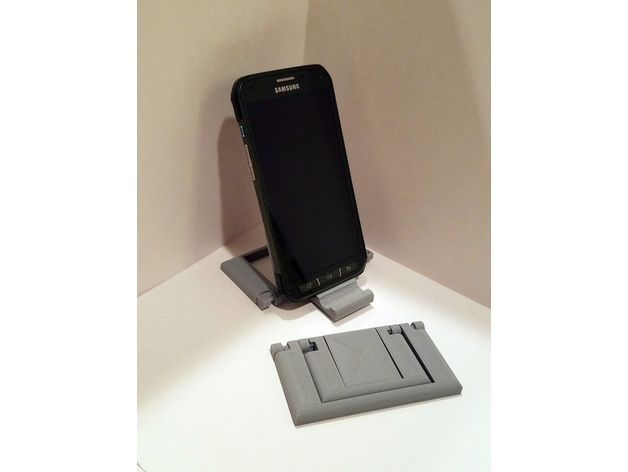 A great little folding phone stand, good for airplane rides, etc. Built around a complex print-in-place hinge. The 3 parts of the stand rotate independently through different allowed ranges of motion, 180′ for the first, and 110′ for the second. 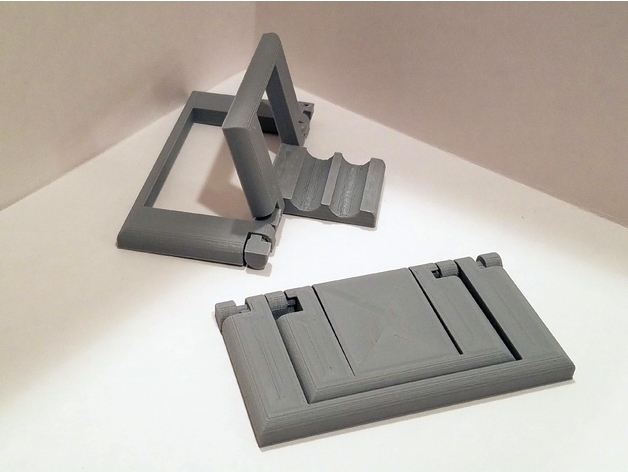 Print the included .stl, or open the .scad file in OpenSCAD to adjust to your liking. Could scale it up for tablets in a flash. 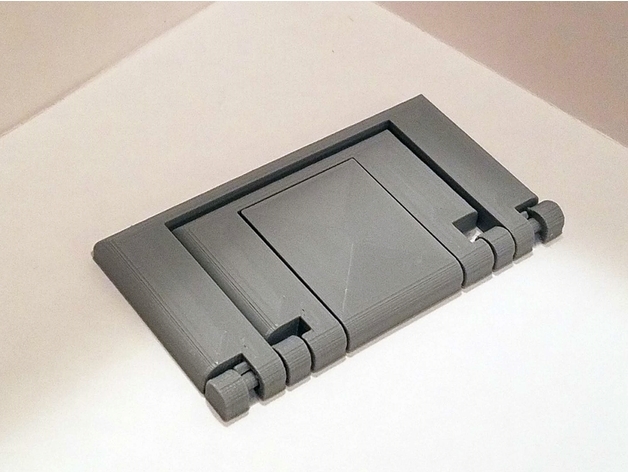 Printed with 0.20mm layers, 0.4mm nozzle, 20% infill, 3 walls, no supports, no brim.